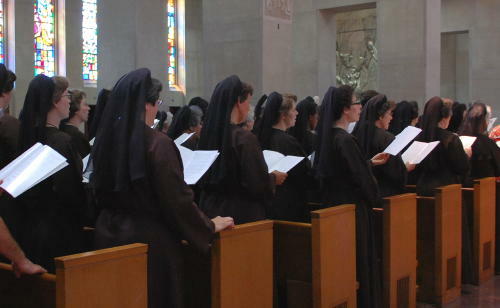 The Franciscan Sisters of the Eucharist, a Community of Religious Women, was founded in 1973 and is approved as a pontifical order by the Roman Catholic Church. 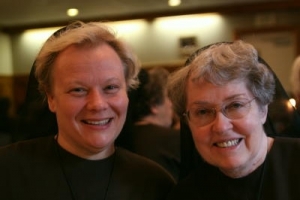 Guided by the leadership of its foundresses, Mother Rosemae Pender and Mother Shaun Vergauwen, the community has flourished since its beginnings and now has 13 centers in the United States, Italy, the Holy Land and Canada. The motherhouse is in Meriden, Connecticut. 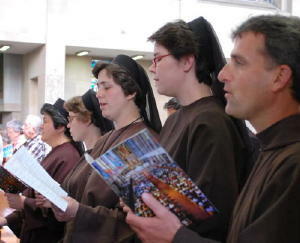 The Sisters continu e the call of St. Francis of Assisi to rebuild the Church in many ways. Like St. Clare, they are vowed religious women who embody the spirit of St. Francis and seek to enflame humanity with a sense of the sacred found deep within each person. They are dedicated to the teachings of the Holy Father and maintain authentic perennial values while initiating new forms of apostolic service. Their way of life is centered by the Holy Eucharist and strong community bonding. These lay the foundation for their many outreaches into the complexities of today’s world. The Sisters value and cultivate a spirit of simplicity, a love for the elegance of beauty in natural forms, and a way of life that creates community. The Franciscan Brothers of the Eucharist, also based in Meriden, Connecticut, work in complement with the Franciscan Sisters. For more information, visit Franciscan Sisters of the Eucharist and Franciscan Brothers of the Eucharist.